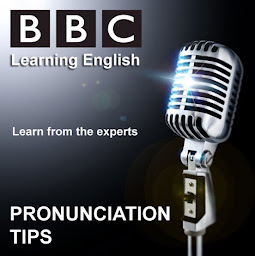 Learn English, Learn English Grammar,Learn British Accent,Learn English Online, English Phonetics: Lesson 6: The [ /ə / ] (Neutral Vowel)sound as in "banana"
British , American , Australian and then Indian accent,however, something which is understood globally is known as a "Neutral Accent"
So let's try our best to work on this !! And remember "Practice Pays"
ACCENT is important not only for Clarity of Expression but also to ensure you leave a lasting impression. Your listeners will definitely admire the way you speak. If your choice of words, Pronunciation style and accent are reflective. Not only You can be confident while giving interviews but also , you'll end up developing your personality. Listening to English is also good for pronunciation. And one of the things we often worry about is how we sound in the foreign language, whether our accent is a good one or not. So I used to listen to the podcast and I would try to imitate the person who I thought sounded good to me. I didn’t know initially if this was a good accent or a bad accent but after time I got used to it, and I would typically choose the one I could understand the most. From that, I would play small sections of the podcast back to myself and I would try to copy the accent of the speaker. Sometimes, it was difficult and I would do this very often in private because it was quite embarrassing to sit and make funny sounds. Sometimes, I even used to look in the mirror, so that I could see my mouth moving. 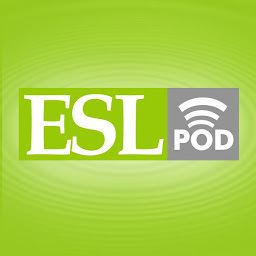 All of these things helped me not only improve my listening skills but helped me with my pronunciation and my confidence in listening to the foreign language. And I soon got used to the idea that even if there was a particular word I didn’t understand or an expression I’d never heard before, I could more or less understand all the important things in the story. And because it was a topic that I had chosen, it was always interesting to me. The main goal is fluency. Remember that you don't have to know many complex grammatical structures to achieve that goal! First of all try to speak as fluent as possible (even making some grammar mistakes). 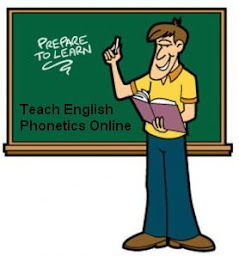 Then, after making your speaking fluent, you can focus on grammar aspects. Many people think that knowing a lot of words is a key to fluent speaking. It's true! However, there are many people who have wide idiolect and problem with fluency. They try to learn more and more words because they think vocabulary is their problem. They don't realize the problem is somewhere else. They always try to use exact translation of the word they want to use, but it causes that they often get stuck. Lesson 6: The [ /ə / ] (Neutral Vowel)sound as in "banana"
Tongue is not going forward. The sound is very short. Read each sentences aloud slowly at first, then as if you were telling it to someone in a natural way. 1. what are you doing in London? we are looking for a hairdresser. 2. Is it made of glass? No, it's made of plastic. 3.What can i do ? What has she done? What have you done? 4. she had done it before she came here. 5. Amanda, phone call for you . 7. Tell my sister Amanda to buy some better bananas as well as potatoes and tomatoes. 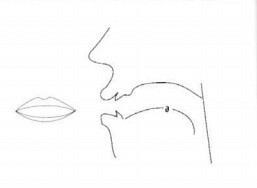 If you have an accent when you speak English, then slowing down your rate will give you more time to get your tongue and lips into the correct place to form sounds. When you pronounce sounds correctly, your accent will naturally decrease. This means that speaking more quickly will give you less time to think about how to form sounds and will result in a heavier accent. The goal is not to speak TOO slowly, but to speak﻿ slowly enough so that you can speak clearly and be easily understood. 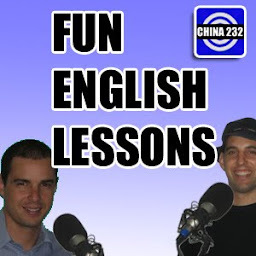 Lesson 7: The [ / i / ]sound as in "pit"
Lesson 8: The [ / ʌ / ]sound as in "duck"
Lesson 9: The [ /ɒ / ]sound as in "box"
This ESL podcast is a comedy style talk show done by two Canadian brothers living in Shanghai, China. 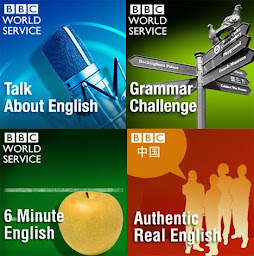 Fun to listen to and a great way to improve English.